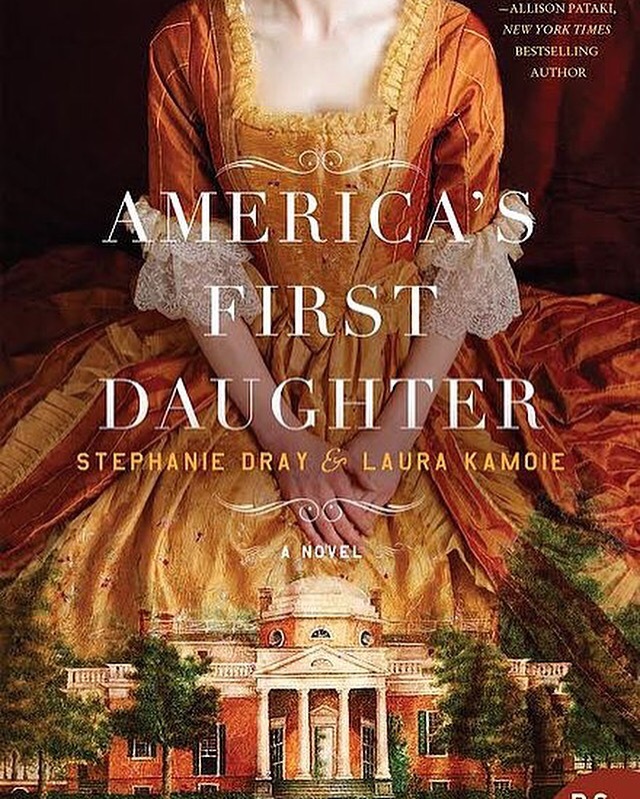 America’s First Daughter is the story of Thomas Jeffersons oldest daughter Patsy, and her life as young girl, daughter, wife, mother, and most importantly keeper of the legacy that was her father. What a fascinating book! Thomas Jefferson was a prolific writer, thousands of letters which are available , the authors used those historical letters and crafted a very well plotted believable tale. Most of which is based on fact, but some liberties were taken by the authors to create an interesting and cohesive story. If even half of what was written in this novel are true, then Martha Jefferson Randolph, or Patsy, as she was known, was a truly unique, and honorable woman. The choices she made in life showed her devotion to her family, and especially to her father, Thomas Jefferson. This synopsis was taken directly from the author’s website Laurakamoie.com. Thomas Jefferson was, perhaps, one of the most fascinating men in American history. He was the father of our constitution, an American Ambassador in France, held many offices, including Vice President and President of the United States. He was a scientist, philosopher, biologist, botonist, poet, and writer, really he was the Michelangelo of his time. There is also controversy over whether he fathered children on his housekeeper, Sally Hemings, a mulatto slave. What makes this novel unique, is that we are given a backstage look at this fascinating man, through the eyes of his daughter, who it turns out is equally fascinating! This voyeuristic view of the Jeffersons lives, even if only half truthful, was as good if not better than watching Downton Abbey. My favorite part of the book is when Patsy and her father are living in France. Patsy is a child, and then grows into a young lady. She has been schooled in a convent, but her father also takes her around the city and enmeshed Patsy in Paris culture. She becomes fluent in French, and as a young girl she falls in love with her fathers secretary, William Short. The very cleverly written flirtation and longing for one another, over a period of a couple of years, builds up their feelings for each other, but also my own, making me fall a bit in love with their idealism and youth, and William Shorts charming insouciance. The contrast of their innocent love with the poverty and political machinations in France, as well as the manipulation of Patsy’s emotions by her father, were just the first in a long line of disappointments I felt Patsy made in her life. She leaves France with her family, and without William, and removes to Monticello. There her father introduces her to what will be her husband Tom Randolph. I admit, I had a tough time forgiving her for leaving Will behind. I even went on Wikipedia, and some other historical sites to try to see if she and Will ever got together in real life, but could only console myself with the fact that Will never wed, although was horrified to learn that Patsy had 12 children. I was somewhat mollified when Tom was introduced and they seemed to have a grand passion for one another, though as the book went on, and his character diminished, I wondered at her perseverance in keeping an honorable name just so that her father would not be shamed publicly. I wanted her to leave him numerous times! It was hard to read about women and their lack of choices in those times, hard to not let my own liberal upbringing and modern thinking sway my feelings about Patsy’s constant coddling of her father, even as she was wed to a man and started to raise her own family. As the book went on I became so emotionally involved! As she struggled with her life, I struggled with my anger at the unfairness of a life for such a bright, intellectual and honorable woman! Ok, yes, I loved this book. It made me think! It’s been awhile since I’ve read such a thought provoking novel. It’s been a long time since I was entranced by history. 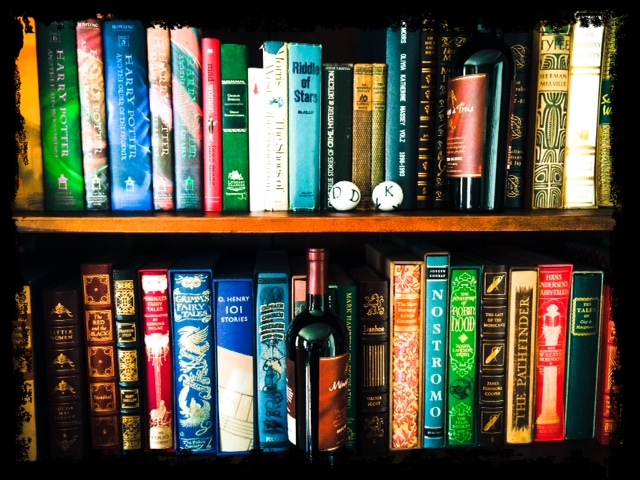 I liked how Stephanie Dray and Laura Kamoie wove fact with fiction. A weave so tight that I tried to do my own research to see how this story would end. I am glad that the end of the book gave me that sense of completion that I needed for Patsy and for myself. I really want to read this now! What a great review. Thanks! This was one of those books that stick with you. I was at work yesterday and found myself on Jefferson’s historical website trying to find more information on the family, because the author’s did such a great job of making them all come to life for me. You should definitely take the time to read it, it’s worth it! I will I am a huge fan of historical books that draw from actual events and people. I love biographies and anything historical. Thank you for pointing me in this direction.